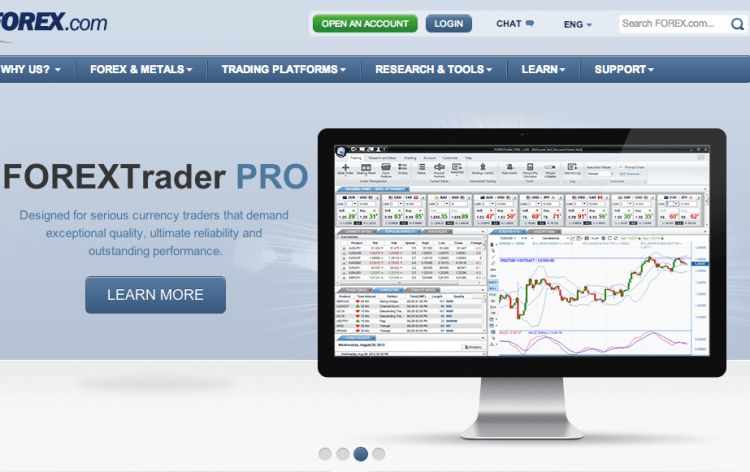 ForexNewsNow – Online trading company and owner of the successful Forex.com forex trading brand, Gain Capital has just recently announced that it had launched a new CFD trading platform called TRADE. The new platform will offer Gain Capital customers new trading possibilities and additional chances to earn money. Global provider of online trading services Gain Capital has announced the release of a new CFD trading platform. The new platform will cover an extremely large number of forex, commodity and index markets as well as offer tight fixed spreads, innovative trading tools and features. One of the new tools that will be featured in the new TRADE platform will be the Market DNA feature, this will allow traders to observe and analyze various markets and spot profitable trading opportunities without any previous charting experience. Another new feature is the Strategy Builder that will allow traders to create sophisticated strategies with just a few clicks of a button. Gain Capital has announced that the launch of this new online trading market is just the first step in a series of updates that aim to offer a top-notch Forex and CFD trading experience. This and future updates implemented by the company will include the addition of several new asset classes, unique and innovative trading technology, and new social trading tools. The venture also explained that the new trading tool aims to offer competitive and transparent pricing to clients as well as new and innovative trading tools that are at this moment not available in the online trading business. The company believes that online traders desire certainty and transparency and as such they have created their TRADE online trading platform in the way to satisfy these needs. This is achieved by offering permanently fixed spreads with no strings or special terms and conditions attached. Gain Capital revealed that the new TRADE online CFD trading platform is available in a browser based format meaning that traders will not have to download and install an actual software application on their computer. The new platform supports both PCs and Macs and is already available in app format for the iPhone and Android based phones. At a first glance the new software platform developed by Gain Capital appears to be very simple and elegant. The trading platform in sophisticated in the sense that it provides a significant selection trading tools. At the same time, the trading interface is built in the way to allow new traders to quickly learn every aspect of the services provided. Gain Capital is one of the largest international online trading service providers. The venture offers a sophisticated and innovative online trading technology that helps traders achieve success in the online trading business. The company gives traders access to hundreds of assets and markets including forex, CFDs, indices, commodities and others. Gain Capital’s biggest and most popular brand is its retail business Forex.com that offers high-quality forex trading services to clients globally. Forex.com gives access to a large number of markets in the forex business but also provides service solutions in the precious metals, CFD, commodity markets.